Home / Unlabelled / Homeowners post pro-police signs in yards after two cops are murdered. But HOA is having none of it. Homeowners post pro-police signs in yards after two cops are murdered. But HOA is having none of it. 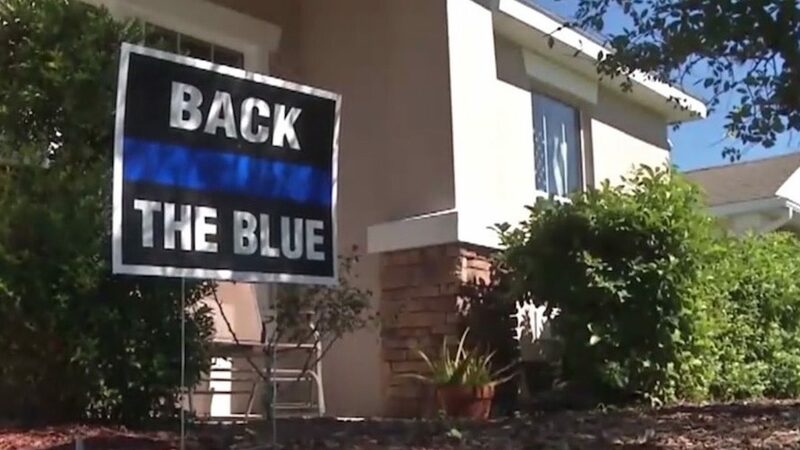 Dozens of homeowners in a Florida neighborhood posted “Back the Blue” pro-police signs in their front yards following the murders of two local officers — but the homeowners association is demanding that the signs come down. Homeowners in the St. 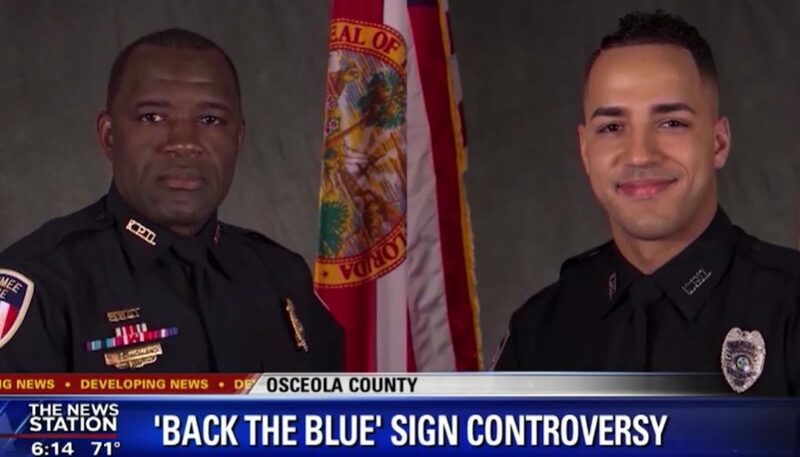 Cloud neighborhood said the signs went up in support of police and to express condolences after Kissimmee Officers Richard (Sam) Howard and Matthew Baxter were fatally shot in the line of duty in August, the Orlando Sentinel reported. But the Stevens Plantation Residential Owner’s Association sent letters to residents saying the signs aren’t in compliance with the community’s governing documents and have to come down, WOFL-TV reported. How are the affected homeowners responding? The Van Kirks down the street have a law enforcement history in their family and heartily agree with Burgess. “It’s just about being supportive of those that put their live on the line every day to protect me and my family,” Janet Van Kirk told WOFL. Burgess said his sign will stay up until he’s had a chance to talk to the HOA, the station said, while others said they’ll place the signs in their windows. Has the HOA reacted to the controversy? WOFL said the HOA didn’t return its calls for comment.